The Super Bowl is on Sunday. The Niners are in it. Which means you need to up your snack game. And you need Timothy Luym of Eastern Addition to help you do it (just go with it), which's why we sexted him to put together a ridiculously simple recipe that would double as a preview of his forthcoming menu at soon-to-open B Street Bar. He did. 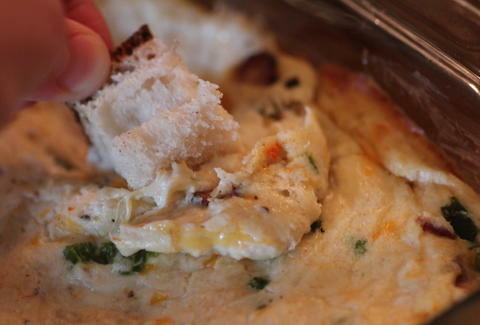 It's Jalapeno Bacon Crab Dip. You're welcome.